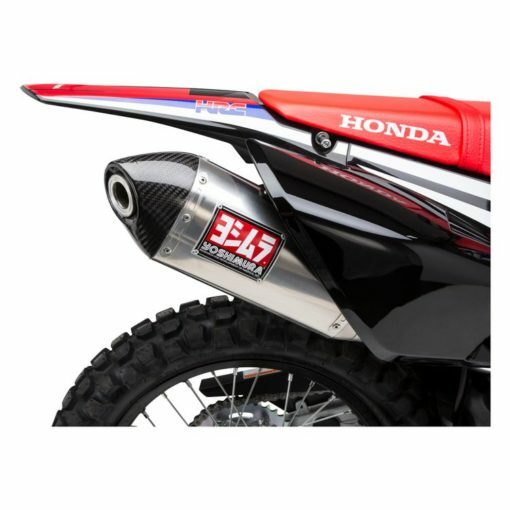 While the RS-4 Exhaust was debuted as Yoshimura’s premier exhaust for off-road racing applications, R&D couldn’t stop there. 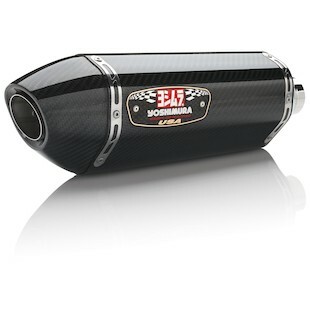 They have mated this sophisticated and stylish muffler to compliment the styling of the new bike. 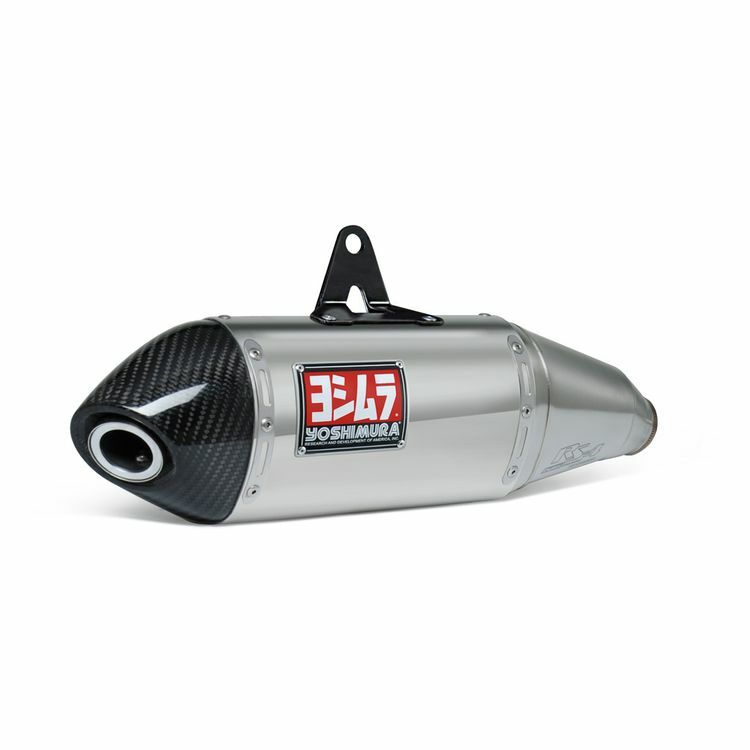 The RS-4 is pentagonal shaped muffler that features a carbon fiber cone end cap, two staged stepped baffle and striking good looks. The RS-4 muffler features a new front cap design that functions as a polyresonant chamber. 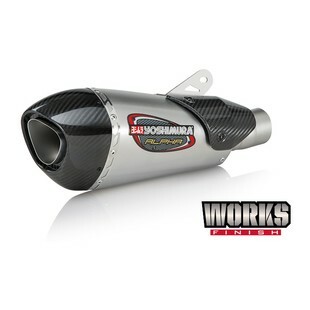 thus creating a more quiet muffler with improved mid to top end power. 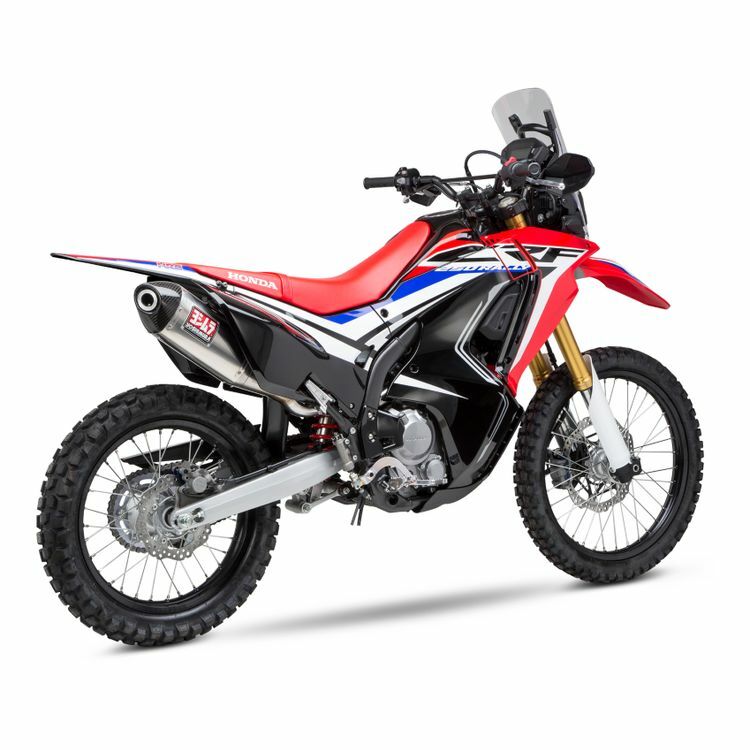 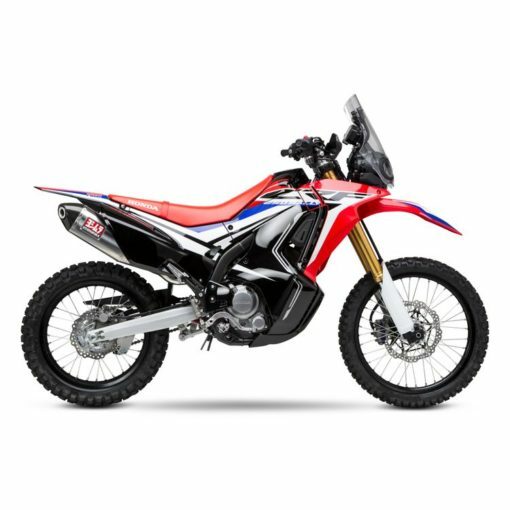 Along with improving sound and power, this system moves the muffler weight lower and closer to the bike for improved handling and weight distribution. 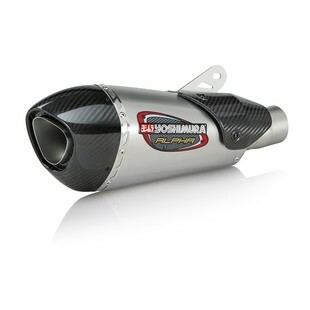 Yoshimura continues to provide the best in performance exhaust systems.